With so many different options available on the market today when it comes to bodybuilding supplements, finding the perfect solution to help you transform your body – to help you pack on pound after pound of lean muscle mass effortlessly – is a lot harder than many people make it out to be. Combine that with the fact that anabolic steroid and anabolic steroid-like bodybuilding supplements are so difficult to get your hands on unless you’re willing to dive into the black market and it’s easy to see why so many people in the fitness world really struggled to achieve the results they are dreaming about with the help of everything that modern chemistry and research has to offer. Thankfully though, in large part because of products like Superdrol, it’s a lot easier today than it ever used to be to get your hands on legitimate (and 100% legal) anabolic steroids – all without having to worry about the law coming down on you, disastrous short and long-term health effects stemming from anabolic steroid usage, or purchasing products that promise the moon and the stars realizing that those products never really deliver the goods, so to speak. To learn a little bit more about everything that Superdrol has to offer and to determine whether or not it is the perfect solution for you going forward, check out all of the inside information we are able to share with you in this quick guide. Make no mistake about it – Superdrol is 100% and anabolic steroid, though it is one of the most truly unique anabolic steroid options out there for a variety of different reasons. Produced by a company known as Anabolic Extreme, this steroid was never placed on the controlled substance list in the United States. Hitting the market in 2005 (and carried by almost every single major supplement company and fitness center), Superdrol has enjoyed a tremendous amount of success in helping serious athletes transform their barter a lot faster than they ever would have thought possible before. Unfortunately, due to a lot of pressure from the FDA, Superdrol was scheduled to be discontinued by the end of 2012. Over-the-counter usage was suspended in 2008 pending the reclassification of Superdrol, and by the time that the middle of 2012 rolled around this steroid was also placed on the controlled substance list and given a Schedule III classification. Companies have been trying to find ways to take advantage of the major active ingredients in Superdrol and other formulations to provide the market with the same kind of results. Some have had a little bit of success, but none of them have been able to fully replicate the formula that made Superdrol such a transcendent solution in the anabolic steroid and bodybuilding communities. Today, however, Superdrol is starting to see a resurgence, though it is almost 100% manufactured overseas. There’s a little bit of risk and purchasing it in the United States for a variety of different reasons, and while you won’t have to go the 100% black-market route to get your hands on Superdrol it’s definitely not going to be as easy as purchasing it over-the-counter the way you could have back in 2005 and 2006. 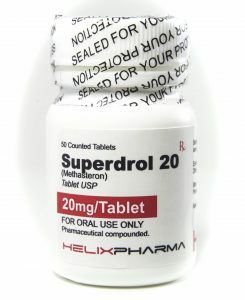 The real “backbone” ingredient in the formulation for Superdrol is certainly the active steroid all hormone methyldrostanolone, a DHT derived anabolic steroid that carries extra methyl groups at the carbon to position which helps you to have a much improved anabolic power when introduced into the bloodstream. This is why Superdrol was such a game changer in the over-the-counter steroid world, why it was so aggressively targeted by the FDA, and why continues to carry a Schedule III classification in the United States today. 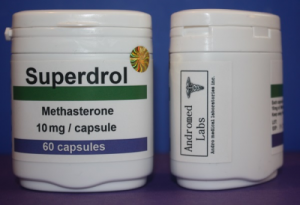 As far as the overall structure of Superdrol is concerned, however, it has in anabolic rating of 400 (one of the highest anabolic ratings of any steroid available today) while carrying and androgenic rating of just 20 – a number considered shockingly mild for such a potent and powerful muscle building solution. This helps Superdrol to be so incredibly remarkable when it comes to the muscle building results possible after you use Superdrol without causing the kind of dangerous and potentially life altering side effects that other powerful steroids inevitably bring to the table. On the surface, there really isn’t anything that ends up being all that remarkable when you were talking about Superdrol. Compared to other steroids of this variety Superdrol appears to be relatively mild and ineffective, but once you dig a little bit deeper into everything that this particular anabolic steroid offers – and once you really understand the science and the chemistry of this supplement – it is immediately apparent that this is a seriously effective solution for athletes and bodybuilders looking to improve their results without wreaking havoc on their health and well-being. Protein synthesis and nitrogen retention is improved across the board thanks to this anabolic steroid. Muscular cells are going to be able to build proteins a lot faster which allows muscles to repair and grow with lightning like speed, and the extra nitrogen that cells are able to hold things to Superdrol will go a long way towards producing the perfect environment for the creation of new muscle tissue. This all results in a powerfully strong anabolic steroid and in anabolic atmosphere that allows bodybuilders and athletes to create more lean muscle mass in a much shorter amount of time – even if they are currently in a calorie restricted state. Bodybuilders that are looking to improve their musculature while cutting before a competition are known to use Superdrol quite a bit, as they know that they can restrict their caloric intake significantly without really running down the results of this anabolic steroid at the same time. There aren’t a lot of other steroids out there that can offer this kind of advantage. The red blood cell count throughout your body will improve significantly when you take advantage of this anabolic steroid, too. These red blood cells are responsible for shuttling oxygen throughout your body, and when you increase your red blood cell count you’re not only able to better oxygenate your muscles but you are also able to improve your immune system and a number of other critical bodily systems. 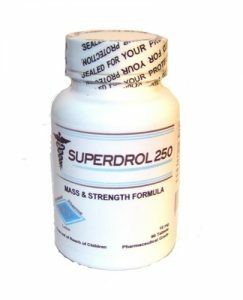 At the end of the day, Superdrol is a powerful and proven anabolic steroid and it’s easy to see why so many choose to take advantage of everything that it’s able to bring to the table. With other anabolic steroids, it’s easy to point to just a small handful of positive impacts that they make throughout the human body. When it comes to Superdrol, however, the you’re talking about a total package anabolic steroid solution here that is going to work to transform your body from top to bottom clear across the board. 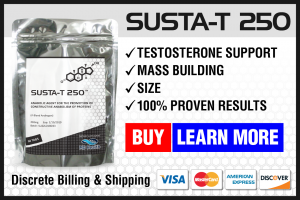 While the original marketing campaign behind this steroid touted it as a powerful muscle builder, athletes that have used this steroid continue to sing its praises as a tool used to improve lean muscle mass, as a tool used to eliminate water retention, and a tool that can not only improve your musculature and how “cut” you look – even when you are obviously shaving calories to read as much fat from your body as possible – but a tool that can also improve your immune system and your red blood cell count, too. The overwhelming majority of athletes out there leveraging Superdrol use this solution as a cutting steroid that allows them to not only preserve lean muscle mass when they are starving their bodies to squeeze out every drop of fat before a competition, but also continue to add lean muscle mass at the exact same time. This was once a process that most in the fitness and athletic communities never thought possible, but Superdrol not only makes it possible but actually makes it rather consistent and effortless to pull off. Not only that, but those that cut using Superdrol are also going to enjoy a “dryer and harder” look when they have finished cutting than those that use other juice products on the market today. This is because this steroid doesn’t entail any of the notorious water retention that so many other anabolic options do, forcing those that use those other steroids to look as though they have water balloons of fluid just underneath their skin even after they have spent weeks or even months cutting that away. Finally, this steroid has also been recommended as a tool for improving recovery and endurance. It isn’t exactly the strongest steroid ever manufactured but the improvement that you’ll notice will certainly be significant. You’re going to have all the fuel you need to power through even the most challenging and grueling of workouts, but you’re also going to have the endurance to push past the inevitable muscle fatigue that usually comes through in the last few sets of your routine. Training times do not necessarily have to be increased to take advantage of the recovery and endurance solutions provided by Superdrol. Your efficiency is going to go up if you keep your time frames the same, and that means that you’re going to be able to get in a lot of extra work faster without feeling as though you have completely overwhelmed or worn out your body in the process. Because of the red blood cell count elevation we mentioned above, more oxygen and more nutrients – including nitrogen and protein – are going to be driven directly to your muscles when they are needed most. This speeds up recovery, and recovery is where your muscles are going to be built in the first place. Now that we have highlighted all of the big benefits that Superdrol has to offer, it’s important to touch on the side effects that can be present if you choose to go in this direction. Like all other steroid options available on the market today, there are definitely pros and cons and a bit of risk and reward associated with using these substances. The only you can determine whether or not this is the right direction for you to go in, but hopefully we’ve been able to provide you with enough information in this quick guide to better understand exactly what you are getting into. 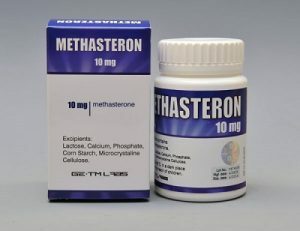 Estrogenic side effects: including gynecomastia and water retention, just aren’t going to manifest when you’re looking at using this steroid in particular. Androgenic side effects: on the other hand, can definitely manifest – though there is a low androgenic nature involved with Superdrol so you shouldn’t have to worry about too terribly many issues of this variety. We are talking about male pattern baldness, body hair growth, and acne issues, the kinds of issues that are quite common with androgenic steroids in general. Cardiovascular: issues are some of the most concerning when it comes to Superdrol side effects, and you’ll definitely need to keep your eyes out for these kinds of symptoms. Any lowering of HDL cholesterol while increasing LDL-cholesterol is possible and sometimes dramatic. Blood pressure can be elevated almost overnight, and that’s always going to put your short and long-term health in jeopardy. Testosterone side effects are almost inevitable, which is why the use of exogenous testosterone is recommended when you were going to move forward with Superdrol. It is the only way to make sure that your body is still able to produce its own testosterone after you have discontinued usage of Superdrol or at the end of each Superdrol cycle. While you’ll have to take your own results, your own goals, and your own biochemistry into account before you decide to settle on an individual dosage for Superdrol, most males start off with between 10 and 20 mg per day for about 6 to 8 weeks, tinkering with these dosages after that to really dial in the proper approach moving forward. Superdrol can be used with other bodybuilding supplements in a “stack”, though you’ll need to make sure that you are using the right products at the right time and that they aren’t going to cancel each other out or elevate the potential for dangerous side effects before you dive right in. As far as the availability of Superdrol is concerned, it is a little bit harder to get your hands on this anabolic steroid than ever before and you definitely won’t be able to get it over-the-counter the way you used to in the past. 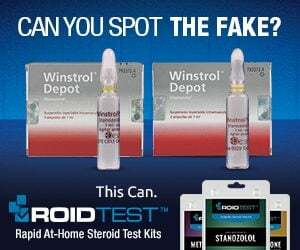 The black market is one place to source this steroid, though you can also find online resources that will sell you legitimate Superdrol as well.